Have You Taken Yourself On These Outdoor Fall Adventures Yet? The weather is finally starting to cool down and fall is right around the corner. What does that mean for you and your truck? Hopefully, it means you’re about to be outdoors a lot more often. Fall is more than a season for spooks and specters; it’s a season celebrating the harvest. And what better way to celebrate it than by harvesting all the opportunities you have to be out in the great outdoors? 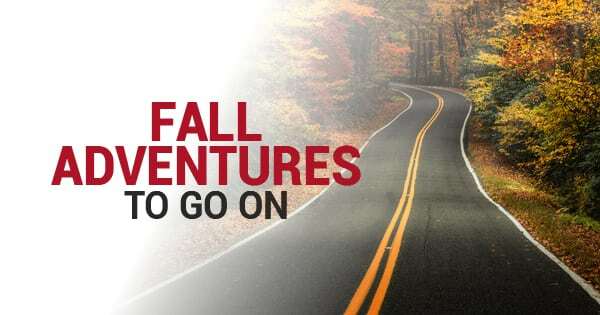 Here are some outdoor adventures to take yourself, your family, and your truck this fall to make the most out of this colorful season. Kayaking isn’t only for the summer months. In fact, fall is considered peak season for kayaking because it offers some of the best paddling experiences. During the fall, you can enjoy being out on the water without the crowds and bugs. What’s more, water temperatures are still warm enough to paddle on and the air is cool enough to keep you from sweating through your safety gear. Sure, a good truck drive through the countryside is nice during the fall, but it doesn’t give you the exercise you need. Slide on a pair of your hiking boots and head out on the trails to take in the views of the changing leaf colors while getting your heart rate up. Hiking is a great way to go exploring without having to take time off of work for a major camping experience. Just be sure to bring the necessary gear. The back of your truck isn’t only good for pumpkins and hayrides. Take the family out for an apple picking adventure and load up your treasures to keep the doctor away for months. Just be sure that your precious future-pie cargo is strapped in and secure before you head home. The last thing you want is a fruit basket careening down the highway. In a four-year study by AAA, approximately two-thirds of the 200,000 crashes studied were the result of improperly secure truck cargo. No matter the season and no matter where you’re headed, it’s crucial for everyone safely that you use the right truck tie down straps and truck tie down anchors when you’re carrying cargo. BullRing has high-quality truck bed anchors, truck bed hooks, and truck tie down straps to keep your cargo safe and secure whether you’re on the road or off-roading. For more information on our truck tie downs, contact BullRing today.